A Frozen Dream Vacation Sweepstakes: You could win a trip to Orlando! Put Me In The Story can make all your Frozen dreams come true! You and your family could win a trip to Orlando. To celebrate the release of the new personalized Frozen book, Put Me In The Story is sending one very lucky family on a magical getaway. GRAND PRIZE: 3-Day/2-Night Vacation for a Family of Four to Orlando. Prize includes airfare, hotel, and theme park tickets. 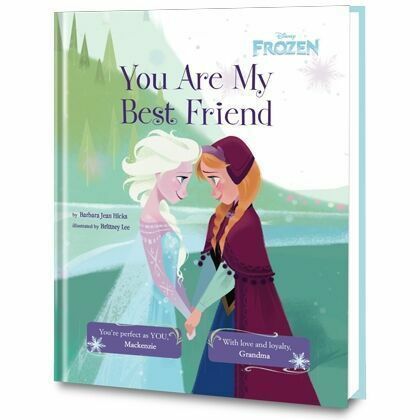 Plus, when you enter, you’ll receive an exclusive coupon code for 20% off your personalized copy of Disney’s Frozen: You Are My Best Friend or any order on www.putmeinthestory.com. You can enter once per day now through July 17, 2015! Bring your own Frozen fairy tale to life with a personalized storybook about love, loyalty, and more! A bold, beautiful story about friendship, this book lets your child experience the magic ofFrozen in an incredibly personal way that will warm your heart. Order your personalized copy of You Are My Best Friend here! REMEMBER! 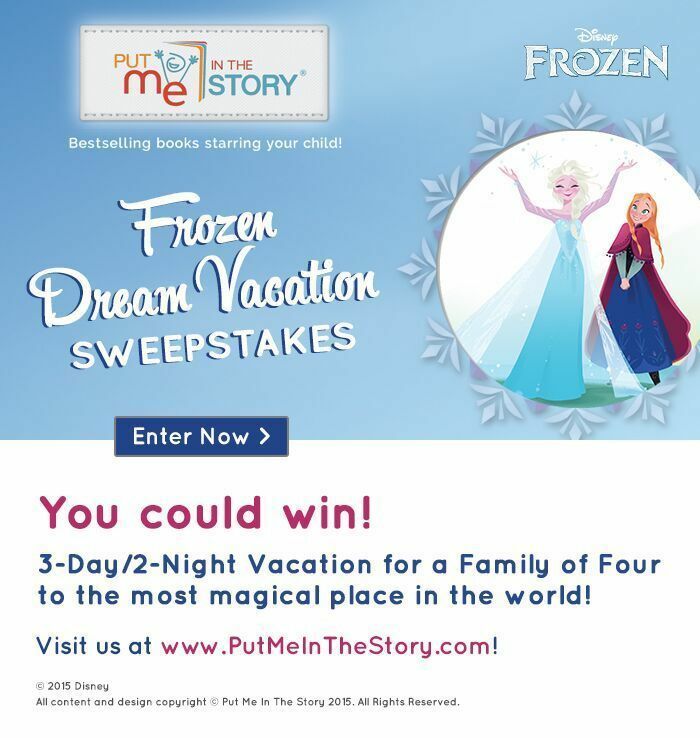 When you enter the sweepstakes, you’ll receive an exclusive coupon code for 20% off your personalized copy of Disney’s Frozen: You Are My Best Friend or any order on www.putmeinthestory.com.